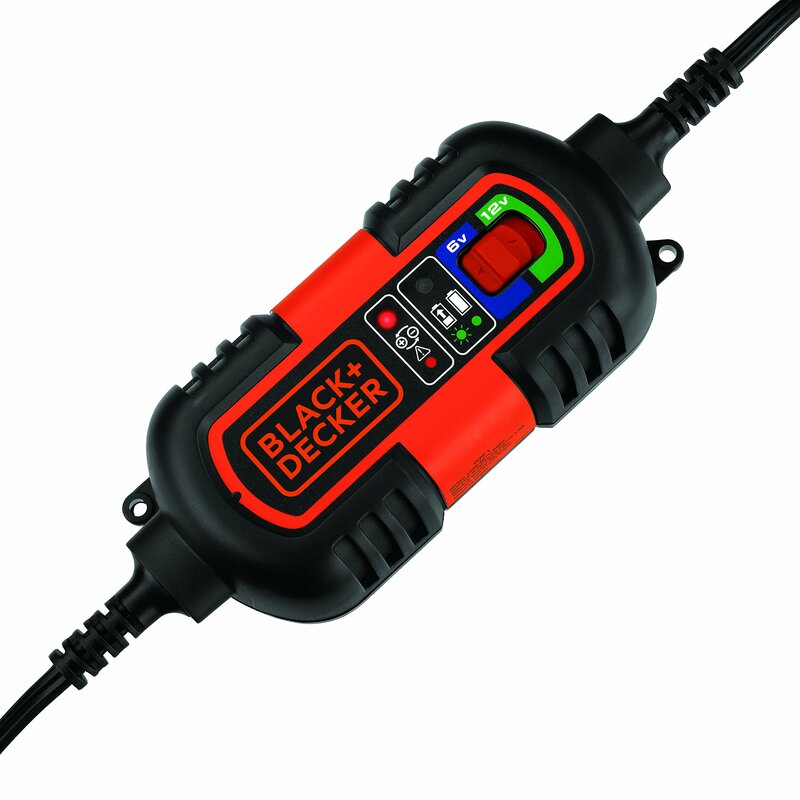 Size: 1.5 Amp The Black & Decker BM3B battery charger/maintainer features 6 volt and 12 voltcharging selectivity. Use for battery maintenance, charging RVs, specialtyvehicles, antique and classic cars, marine deep cycle batteries, motorcycles,lawn mowers, ATVs, snowmobiles, personal watercraft and more. Maintainsbattery charge in stored vehicles and battery applications. Includes threeconnector sets: DC accessory plug, battery clips, and battery ring terminals.Fully automatic, provides a charge when needed, stops charging when battery isfully-charged or topped-off. Built-in circuit protection guards againstovercharging, reverse polarity or short circuit.